I'll admit something personal; I have lived with the title "depression" for almost my entire 16 years of life. People sometimes ask, "What's your Mitzrayim?". I don't even have to think before I answer. As I write this, I feel especially afflicted by my Mitzrayim. The word, used to mean Egypt, can be translated as "narrow space", as in a narrow space in between. The fact that the Israelites were in Egypt was their Mitzrayim, a space between who they were and who they were to become. I'm in a space stuck between a life I could have and the pained life that I have. 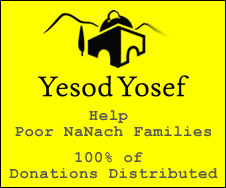 Hashem doesn't help people who don't help themselves, so I try. We all know that isn't easy, and no one wants to hear cheesy lines about how it'll get better, or how hard times don't last. Give me a break, I think, they do last. Hard times do last! But don't let them last forever! You don't have to let your Mitzrayim, your narrow place, hold you captive and trap you where you don't want to be! A narrow place in the middle of something "good" and something "bad" is one of the worst pains of being a human. It's not bad to feel "good", and it's not bad to feel "bad". Feelings exist for a purpose. The Israelites would not have remained the Chosen People had they been given the easy road with easy feelings, because they would have become spoiled right off the bat. They had their times when they rebelled against G-d, but my point is, there is no such thing as good or bad feelings, because they both can elevate you to heights far above anywhere you ever though possible. Happiness keeps a person going, but sadness allows for a person to learn to become happy, and to keep themselves happy. If Hashem didn't create sadness, we wouldn't even know what happiness is. On the note of these so-called "bad feelings", I once read an article by a Breslov writer (I'm sorry to say I do not remember who) who made a distinction between sadness and depression. Depression, he said, was as if a person denied that G-d had a plan for him, that He wasn't even there for the guy. Sadness, he said, was a test fall for a person to trust Hashem. This rings true. There are times when I want to walk away from Hashem. I've learned that whether you want Him following you or not, He's pretty much stalking you, in a good way; and it's all because He cares! You can't walk away from G-d. When I was younger I tried, and it was an "epic fail", as secular teens call it. Good things come from hard times if you only try. Look here; I'm a living and breathing example! I begged Hashem; find me a life that I want to live. Give me something to hold on to when the pain is killing me. He gave me Breslov. This sounds like one of those cheesy coming-to-faith stories, I know. The faith Hashem has given me to fight my Mitzrayim has kept me trying. People ask me how my faith even works, and why I still follow by it, if it's "not working", in their eyes. The answer is that because of my faith, I can stop myself from giving up. When the hard times hit, I put out my trusty faith to fight the battle of depression so that I don't lost myself to it as I used to. Remember, Hashem promised to Avraham and then Yaakov, "I will make of you a great nation and I will bless you", on the condition that they followed Him with faith. This is a promise that stands today for the pained people in the world, and the ones who are not so pained, if they so choose to live by their side of the bargain with Him. Have faith, because G-d keeps His promises, on the condition that you keep yours. Make it so that you deserve for Him to perform a miracle for you. The Sforno Torah commentary said that there are two kinds of miracles; natural miracles, and nature-bending miracles. If the miracle that you ask of Hashem is the natural sort, keep trying and have faith. If it's the other sort you're asking for, I think you're out of luck. I wisssssssssssshhhhhh I knew about Rabbanue when I was 16. Don't wish! You found Rabbeinu when Hashem intended for you to. Nothing is coincidence. Just like I used to stalk you! Love you. Keep up the excellent commentary.